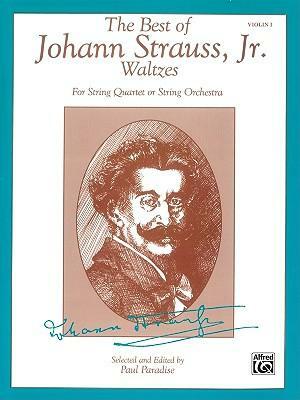 Paul Paradise has selected and edited 26 beautiful Strauss waltzes specifically for string quartet or string orchestra. The pieces were chosen to provide each player with a meaningful part, and have been assembled according to level of difficulty and edited with contemporary fingerings and bowings. Contents are: Tales from the Vienna Woods, Op. 325 -- Waltz No. 1, 2, 3, 4, 5 * Artist's Life, Op. 316 -- Waltz No. 1, 2, 3, 4, 5 * Wine, Woman, and Song, Op. 333 -- Waltz No. 1, 2, 3, 4 * Viennese Blood, Op. 354 -- Waltz No. 1, 2, 3, 4, Coda * Emperor Waltz, Op. 437 -- Waltz No. 1, 2, 3, 4.